The Center for the Advancement of Data and Research in Economics (CADRE) at the Federal Reserve Bank of Kansas City is recruiting for the position of Research Associate. Physical Sciences. School of Engineering. Focus in science, technology, engineering, and math significant with potential to contribute to the strategic goals and missions of NASA in the area of space technology. 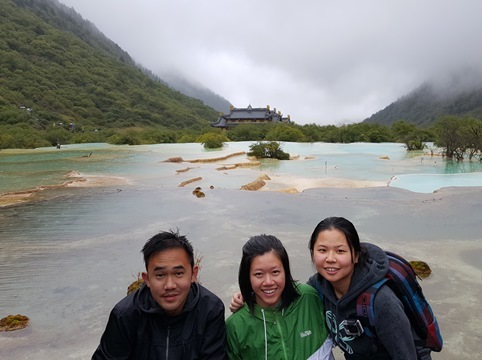 UCLA students visiting Huang Long National Scenery spot. Photo courtesy of Brandon Liauw. 2015. Over the weekend of October 24-25, 2015, the Department of Mathematics at Northwestern University will host a conference for undergraduate women who may be interested in pursuing graduate study in the mathematical sciences (pure and applied mathematics, and also mathematical physics, statistics, theoretical computer science, ...). There will be research lectures, panel discussions, and numerous opportunities for interaction with faculty and graduate students, both casual and structured (including time set aside for mentorship). Please forward this message to senior undergraduate students, incoming graduate students, and students in the first year of graduate study.